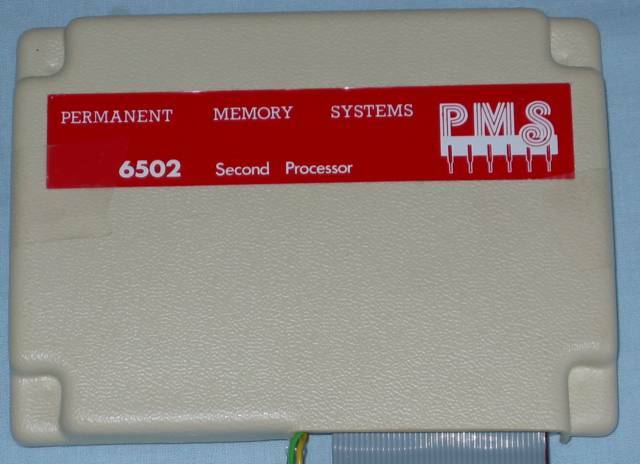 The Permanent Memory Ssystems (PMS) B2P is a 6502 second processor for the BBC micro. 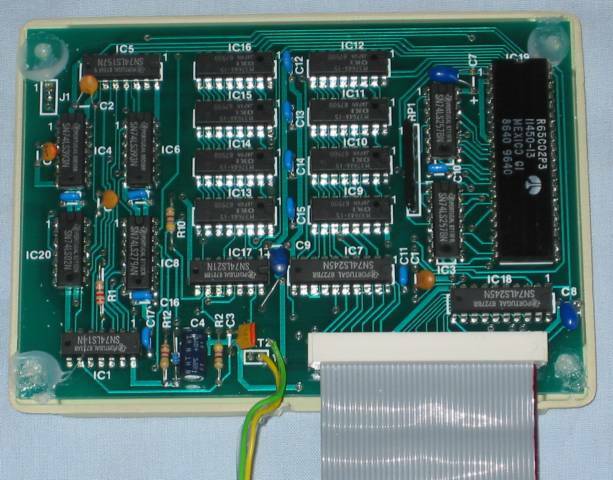 Like the Acorn 6502 second processor it connects via the Tube but rather than use the Tube ULA to control data transfers, it has its own code and the NPFD signal on the 1MHz bus, It also runs a 2 MHz 65C02 CPU where the Acorn CPU is clocked at 3MHz, But it only cost £200 instead of £399. There is also the BOS ROM which is fitted to the BBC micro to control communication. In the pictures above the ribbon cable plugs into the Tube port of the BBC Micro and the yellow/green cable connect to pins 11 & 12 on the 1 MHz bus. Here is the B2P-6502 User Guide, PMS system discs note, 1MHz Bus NPFD signal and Reset switch note and B2p HiWordwise Note . In March 1987 Acorn User published a review titled "Second Half ".